Hand cut duck (hollow cut) from black hand made paper. 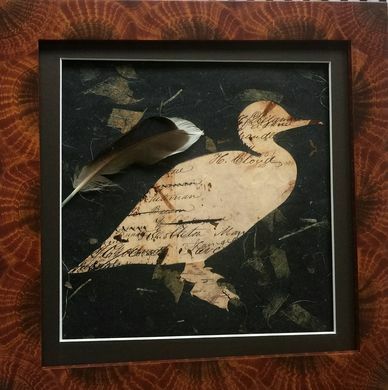 Antique ledger paper print reveals duck image. Hand made frame from poplar wood with a Vinegar painting faux finish technique.